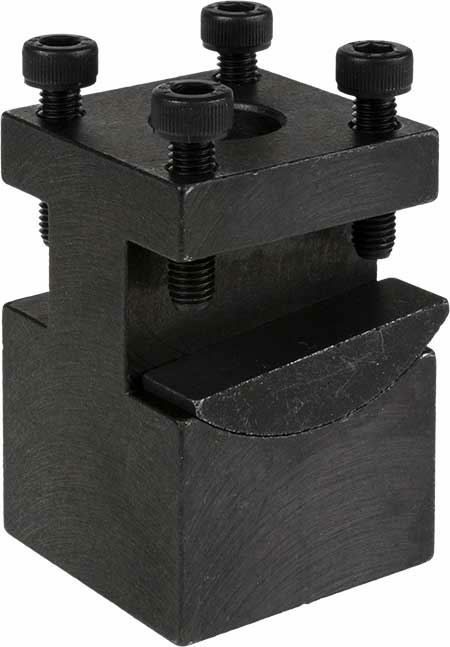 This C1 rocker toolpost eliminates the need for tool shimming. One side of the toolpost has a rocking segment which makes it easy to set the cutting edge at the correct height simply by adjusting two clamping screws. Complete Tool Post assembly includes C1-109 Rocker Tool Post, C1-153 Rocker Segment and 4 tool locking screws.